We talked to the Supercar Polish Champion on the assumptions for the Oponeo Polish Rallycross Championship 2018. Tomasz Kuchar will drive the Peugeot 208 RX, prepared by Hansen Motorsport. He was driven by Davy Jeaney himself. The driver is very happy that the next car from Kenneth Hansen will have an opportunity to present itself in Poland. As he says: Kenneth Hansen is a great professional and a great man with a great class. What is the goal for the 2018 season? 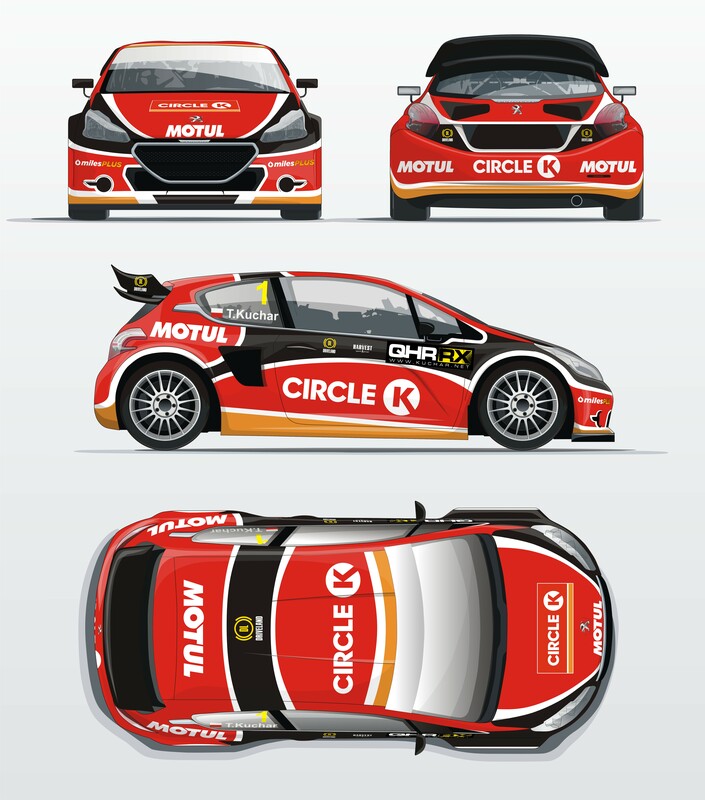 Our plan is to compete only in Polish Rallycross Championship. I am in such an age and at such a stage of my sporting, private and professional life that I don’t completely try to start abroad. Still, I am ambitious, I think that well-trained and in the domestic yard I’m going to get a little confused 😉 The goal is the third title of the Polish Champion, and the dream that the fight would be leveled and rolled until the last meter of the last elimination. Will you drive the whole season with one car? Who is your favorite in the SuperNational group for this season? SuperNational is really amazing in Poland. There are many fast and talented drivers, and virtually every one of them can win individual rounds and reach for the title. Will you be on Monday training in Słomczyn? Kuba Wyszyński to conquer Europe!